2016 was a fantastic year for horror-thriller fans, with a steady stream of impressive mainstream titles (10 Cloverfield Lane, Green Room, The Conjuring 2, The Purge: Election Year, The Witch, The Shallows), international stunners (Train to Busan, The Wailing, Under the Shadow), film festival darlings (I Am Not a Serial Killer) and straight-to-Netflix gems (Hush). With such a generous supply of worthwhile offerings, it is very easy for certain titles to have unjustly flown under the radar and go unseen by many until 2017. 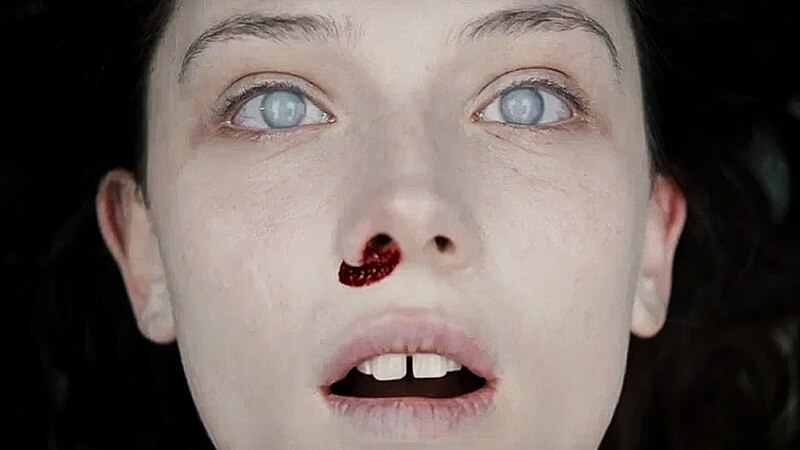 Enter The Autopsy of Jane Doe, a 2016 Toronto International Film Festival selection starring Bryan Cox and Emile Hirsch as a father-son coroner duo whose late-night autopsy of a Jane Doe (Olwen Kelly) grows more fraught with danger when their search to determine the cause of death yields increasingly confusing and quite possibly supernatural results. Because of the sound design in the opening scene at the crime scene where Jane’s body is found, we’re instantly tipped off we’re working in the horror-thriller territory. As such, while Cox and Hirsch capably go about their own episode of Six Feet Under, the latter struggling to work up the courage to inform the former that he doesn’t actually want to take over the family business, director André Øvredal’s (Trollhunters) camera routinely cuts to close-ups of the open-eyed, blank expression on the dead woman’s face to heighten the tension. We know something is going to happen, and whatever it is will probably be signaled by her face somehow. But what’s going to happen? And when? To answer those questions would be spoiling the fun of the movie. I will simply say that when the twist does happen and is later explained, the logic behind it all doesn’t actually fall apart, as they so often do in these scenarios. Moreover, even if you’re not willing to buy the “this is why this is all happening” reveal there are still plenty of quality jump scares liberally sprinkled throughout the entire film Øvredal’s masterful tension gradually gives way to bone-chilling scares. Ian Goldberg and Richard Nain’s script recognizes what many others have before: a coroner’s office is inherently creepy. To their credit, they follow that familiar impulse and take it in surprising directions. Øvredal’s direction suggests a mastery of tone which marks him as a director to watch. Cox and Hirsch’s total commitment to selling the scares invites our sympathies and draws us deeper into the mystery. The result is a film which more than earns its seat at the table with 2016’s other quality horror-thrillers.